One of the first things I replaced with oils is my daily perfumes. There’s a ton of research out there on the dangers of using synthetic fragrances… they’re full of hormone disrupters, carcinogens, the list goes on and on. It’s not pretty. Add all of the above to a 5 ML roller bottle from Amazon, top it off with some fractionated coconut oil and roll it on. So. Good. 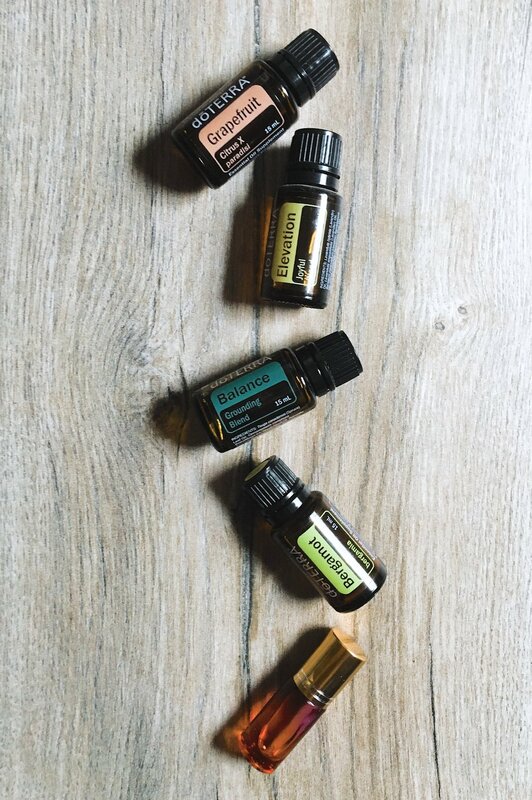 If you have any questions on oils, or are interested in a wholesale account with DoTERRA (you’ll get 25% off EVERY purchase) leave a comment below, or send me a message!